Firefox 3.6 has arrived. With it comes 20 per cent faster browsing, a number of stability improvements and the "world's best implementation of HTML 5 audio and video support." 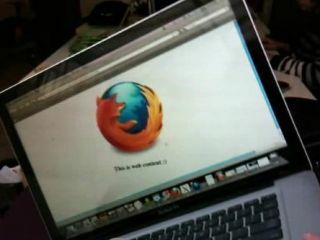 Go to www.firefox.com to get your Firefox fix. Mozilla has announced that the 3.6 update for Firefox, its popular web browser, is incoming and should hit the web around 5.30pm today. The message on Mozilla's blog is brief but to the point, noting: "Firefox 3.6, the world's best web browser, will be available Thursday, Jan 21st. See what's new at http://bit.ly/8a0Kux." So, what is new? Well, the big headliner is that the browser will now support HTML5 – the proposed future of the internet, which does away with multiple plug-ins for Flash, Silverlight and the like. Other features include single-click access to change your browser's appearance, native full video support and Mozilla is claiming the browser to be "faster than ever before". We're guessing that's 'than ever before through a Firefox browser' considering Google prides itself on its Chrome browser being the fastest of the lot. Interestingly, Firefox 3.6 will be released around the same time as the out-of-band patch being issued by Microsoft. While Microsoft's download will certainly be vital for IE users, Firefox's acts more like icing on what is already a rather nice cake. Check out the video below to see what else is new in Firefox 3.6, and don't forget to check www.mozilla.com at 5.30pm GMT for the download.